John Dubbs oversees the handling of taxation matters for the firm's clients, having extensive experience in highly complex corporate, partnership, individual, estate and trust, not-for-profit, income, estate and gift, sales and use tax planning, as well as problem resolution and audit representation at the local and Washington D.C. levels. Since 1980, Mr. Dubbs has created and obtained tax-exempt status for more than 100 not-for-profit corporations. His clients range from multi-tiered, multi-state healthcare providers to private foundations. Mr. Dubbs counsels the firm's not-for-profit clients to ensure their continuing tax-exempt status and their avoidance of the tax on unrelated business income. He consults with clients in connection with their daily operation (e.g., proposed contracts and employment issues) and on major transactions (e.g., joint ventures with taxable entities, reorganizations, etc.). Mr. Dubbs has developed a substantial corporate practice, representing small and mid-sized companies in their acquisitions, dispositions, contracts and general corporate planning. His combined tax background, C.P.A. and M.B.A. allow Mr. Dubbs to provide these clients with unique insights. 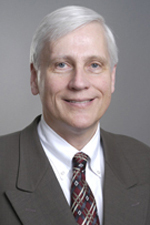 Mr. Dubbs has been an Illinois Certified Public Accountant for more than 20 years, and received his early tax training with Arthur Young & Co. before joining Hinshaw & Culbertson LLP in 1980. Mr. Dubbs is also a member of the Board of Directors of Hinshaw Consulting LLC, the firm's business consulting subsidiary. He is a past member of the firm's Management Committee.